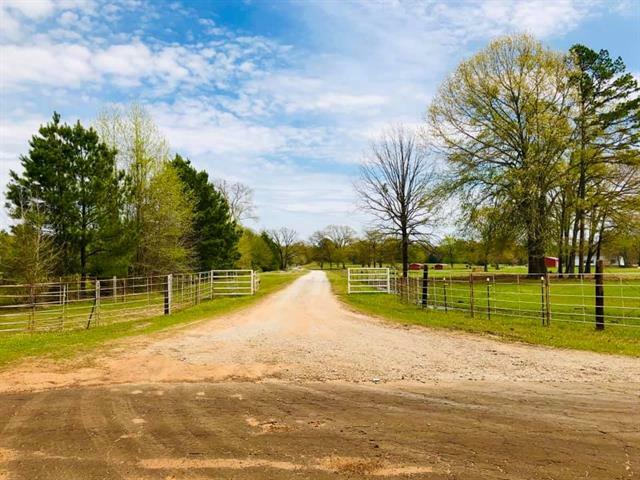 All Hawkins homes currently listed for sale in Hawkins as of 04/23/2019 are shown below. You can change the search criteria at any time by pressing the 'Change Search' button below. If you have any questions or you would like more information about any Hawkins homes for sale or other Hawkins real estate, please contact us and one of our knowledgeable Hawkins REALTORS® would be pleased to assist you. "Amazing 4 bedroom waterfront home on Lake Hawkins! Grand entry to vaulted ceilings with solid cedar beams & custom metal work gives way to view the HUGE gourmet kitchen with soapstone & stainless countertops, farmhouse nickel sink, & 6 burner gas range. The enormous space is flooded with light thanks to the huge picture windows overlooking gorgeous views of the lake. Each bedroom & bathroom has a unique feel utilizing custom features including exposed brick walls, solid cedar beams, & lake view"
"Beautiful home at LAKE HAWKINS! 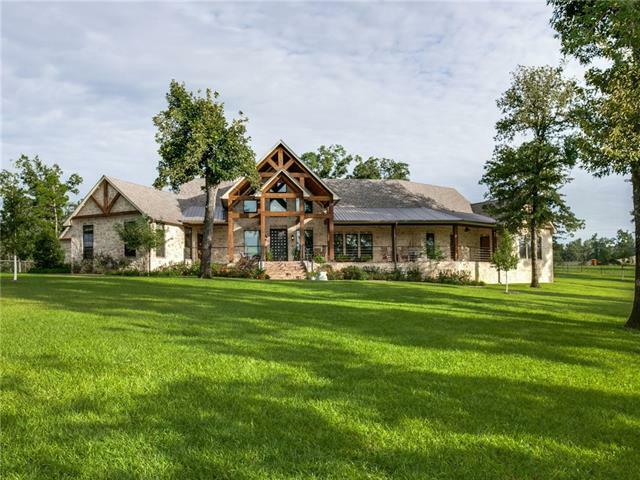 Custom 3,100 ft. home on 3 ACRES. 5BR 3Full Bath. Property boast a 40X60 shop complete with electricity & water..800 ft. GUEST HOUSE PARTY BARN..Complete w full kitchen bath bar area loft & more! Massive porches, OUTDOOR KITCHEN..featuring pizza oven, gas griddle, fridge,sink,& fire rock table! Cozy up to the outdoor fire place as well! Oversize 2 carport & long concrete drive w generous amount of concrete everywhere else! 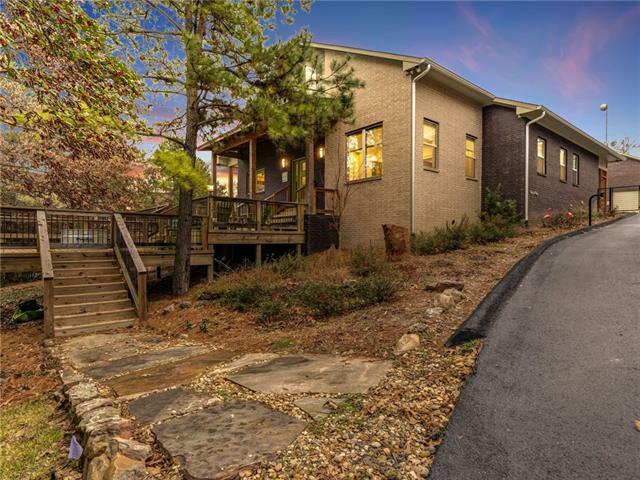 Home has high ceilings throughout, Ut"
"Stunning Million Dollar, panoramic views of the beautiful lake are offered from the covered, wrap-around porch outside. The open floor plan inside has 2 walls of windows and French doors with the same postcard-quality views of the lake. You can enjoy your own dock and sit outside to watch sunrises and sunsets. This custom built home has a huge, open living, dining and kitchen area that is perfect for your dream lake home and it has enough room to invite all your family and friends. Kitchen has s"
"An absolute stunning Wright-Built home in east TX on the little known about gem called Lake Hawkins. 3 , 3.5 with open kitchen-living floorplan. Modern rustic with game room and full bath upstairs including murphy bed. 3 car detached garage including RV-boat with 11ft high door. The enormous deck with firepit looks out towards the pines and beautiful lake. Boat dock drawing included in MLS. Spring fed lake as clear as you will find around." "WOW!!!!! 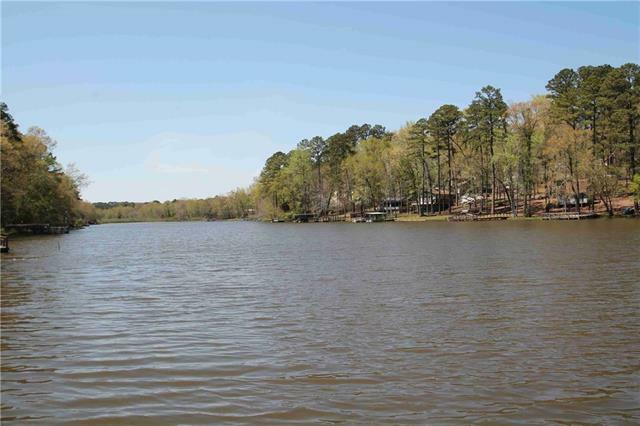 HOME & ACREAGE ON PRIVATE LAKE!!!! 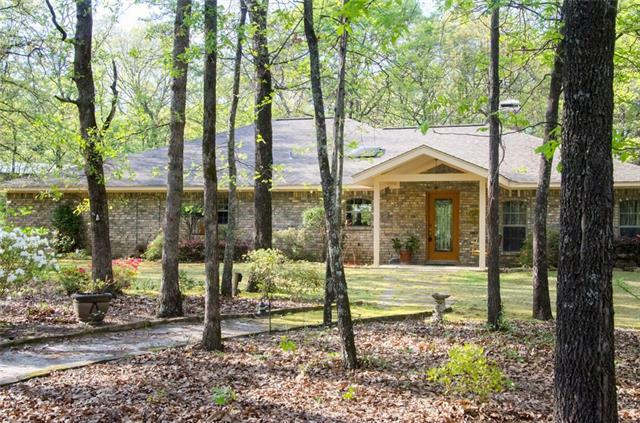 2,600 sq ft home situated on 76 acres! Approx 17 acres is a private lake.....25-30' deep, spring fed, & constant level. Great fishing along with an abundance of other wildlife throughout to the rest of acreage. To name a few, hog, duck, deer, gator, & of course fish. This property is loaded with potential. Make it your home, getaway or hunting lodge." "Enjoy this magnificent country setting on this peaceful and serene property overlooking rolling coastal hay meadows. 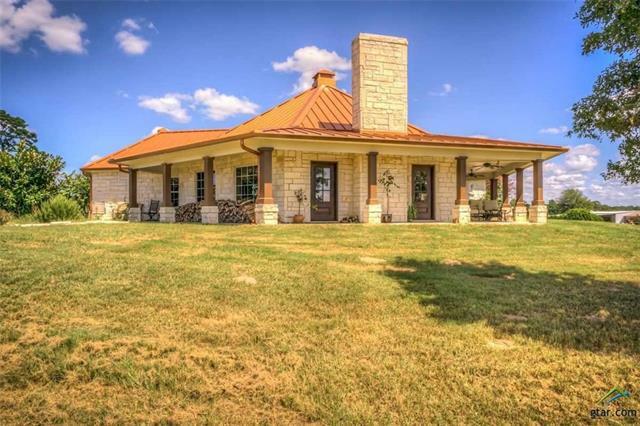 This exquisite home is 4 bedroom, 3.5 bath sitting on 60 ACRES. Gorgeous 3200 Sq. Ft. Austin Stone with a wrap around porch, beautiful 20 ft. vaulted wood ceilings, stone fireplace, formal dining, and spacious rooms. There is a 30x100 workshop, barn with concrete flooring, electric and has an office, half bath. 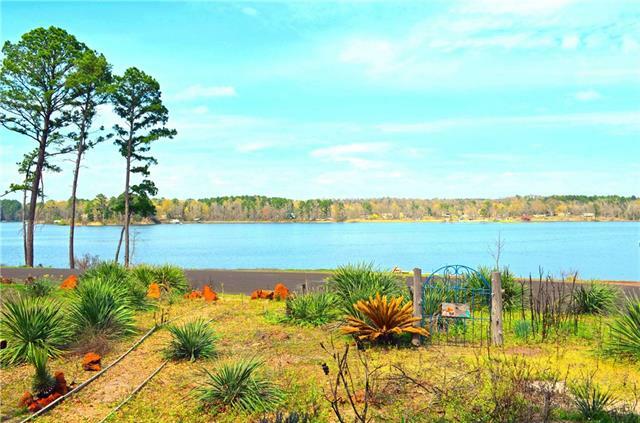 Property has a pond, and is fenced, cross fenced for cattle, hor"
"Stunning one of a kind lakefront property,lake or wooded view from every room on Lake Hawkins!Approx 146 ft of deep water lakefront.3,3 bath,2 half bath 2 car garage, expansive deck, 2 boat houses, 31 foot dock, workshop & approx 740 sqft unfinished cottage.Living has lakeview & brick WBFP.Chef style kitchen features all the desired amenities & much more. Recent upgrades include full interior paint & new roofs.2 MBR;lake view master features gambrel ceiling, crown molding, huge custom walk-in cl"
"Custom built Lake home on quiet lake with mature trees landscaping the view! This large 3-2.5-2 is on nearly 2 acres just across the street from Lake Hawkins. The vaulted ceilings are beautifully stained spruce. Ponderosa pine walls and custom cedar bar top are just a few of the custom cabin style accents for the interior. Also on the property a nearly 1000 sq ft detached 3 car garage with another living area perfect for guests quarters. The boat house has storage and boat slip will accommodat"
"Beautiful, Quiet and Private Farm on 43.5 fenced acres. This well maintained 2001 Palm Harbor has an open floor plan with vaulted ceiling thru-out, a wood burning fireplace, very spacious kitchen with plenty of storage, walk in pantry, island with breakfast bar, as well as several windows overlooking the front pasture. Split Master Bedroom on the other side of the house. The master bath has double sinks, garden tub and separate shower. 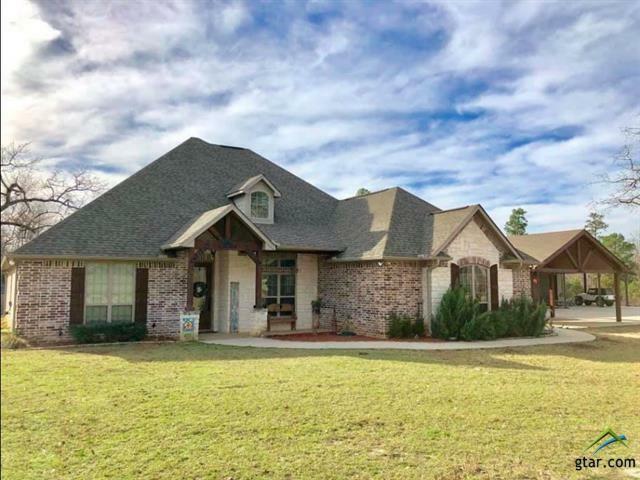 There is a detached 24x30 garage next to the house with a 8x"
"Beautiful 3BR-2.5BA custom brick home on 7.4 wooded acres in highly desirable, gated community of Country Trails. Open concept LR-DR-KIT featuring vaulted ceilings, brick WBFP with built ins, kitchen with dining bar, pantry & built in desk. Split BR arrangement. Master en suite has his-hers walk in closets, separate lavatories, separate shower & tub. Outside: 30x12 covered patio, 900 sf work shop with separate heat-ac area plus 2 overhangs, garden area, greenhouse & gated entry. Spring will brin"
"Gorgeous home with so many upgrades! Unique Craftsman style exterior has numerous beautiful details, interior has open living area with a light and bright chef's kitchen, large granite island, hardwood floors and high ceilings throughout. Stainless appliances, energy efficient tankless water heater, and wall of windows in living area are just a few of the perks this house boasts. 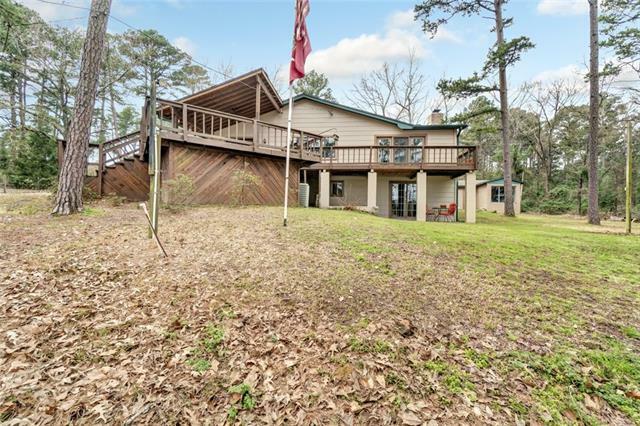 The bonus room and office with tall glass french doors, spa like master bath, oversized and inviting covered po"
"East Texas Waterfront 2BR-2BA Home with open concept LR-DR-KIT. Kitchen features lots of cabinet and counter top space, dining bar and tile counter tops. Family room has wonderful view of the lake and WB stove. Upgrades include new front porch, metal roof, asphalt driveway, new vinyl plank flooring and remodeled master bathroom. Outside features walk out water - no road to cross and no steep incline. Covered front porch, open deck on back, 3 storage buildings, RV port and dock. 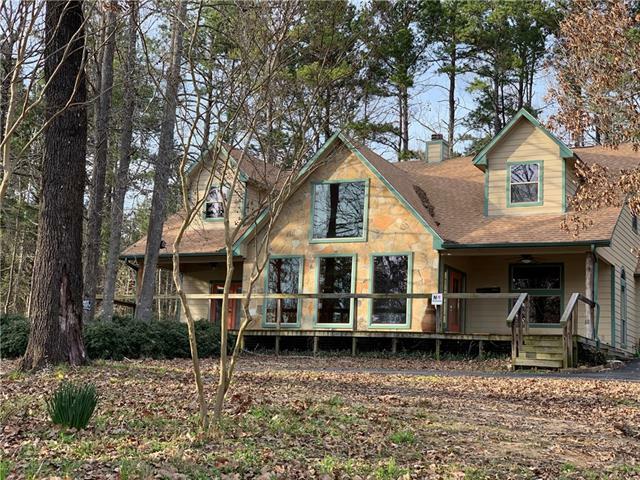 Community ameniti"
"WATERFRONT PARADISE - FISHING & HUNTING - ATV'S -This waterfront home is nestled in the trees overlooking 65 acre constant level lake stocked with crappie, bass & catfish. Imagine sitting on your screened in porch having coffee in the morning over looking the lake in this lodge-like 2B-1.5 half bath home. Outside is a beautifully landscaped area with 2 storage buildings, carport, HOT TUB & fenced in area for small pets. Community picnic area & boat ramp build your own dock at the house. 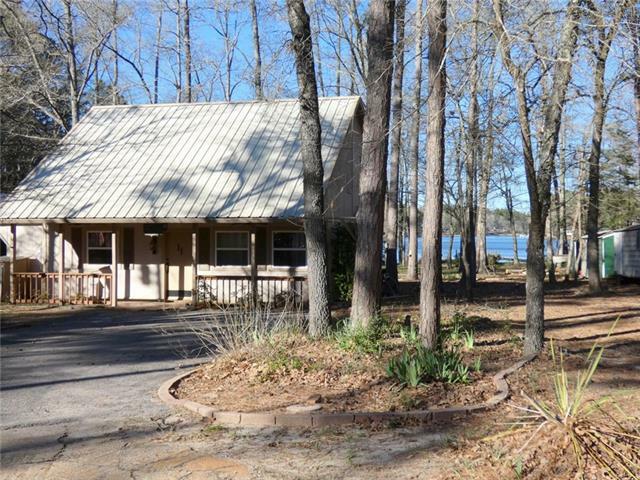 435 acre"
"How cool would it be to own a rustic waterfront cabin on Brookhaven Lake? Here is your chance. Wooded waterfront lot. Beautiful view of the lake. Great fishing off the pier. This is a private fishing lake. Wake control so it is very quiet. Get in shape and do some kayaking or paddle boarding. This is a one-bedroom cabin with an open floor plan, living room, kitchen, bedroom, bath and screened in porch. Just over an hour s drive from Dallas. Quick getaway from the hectic to the peace & quiet. C"